A report in this morning’s New York Times brought to my attention something I had previously been unaware of, even though it is taking place fairly close by, in West Hartford, Connecticut. But far from being merely local in impact, the report is likely to spark considerable debate in the national and international classical community. 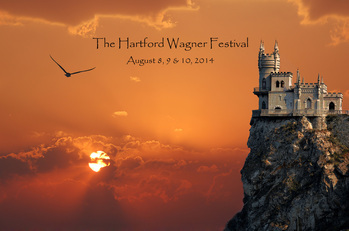 As you can read, a newly-formed organization called the Hartford Wagner Festival is launching a complete live performing cycle of Richard Wagner’s epic four-part “Das Ring der Nibelungen” (“The Ring of the Nibelung”), with four performances this August of the Ring’s first opera, “Das Rheingold.” The other three operas are planned for the following three summers, with the complete “Ring” cycle scheduled for 2017. One might think that an effort to mount these or any great operas in these perilous times for the art form would be welcomed and encouraged. Well, this effort hasn’t, at least by some very (ahem) vocal opponents. And that has a diverse cohort, including orchestral musicians, musicians’ unions, opera companies and musical connoisseurs, up in arms, for reasons ranging from artistic desecration to deprivation of employment for the players. Some of the singers who’ve signed up for the cast have even been threatened with career damage if they persist with the productions. And one lead singer in “Rheingold” has dropped out under the pressure. What do I make of this? Of course, I can’t judge how effective the digital rendering of Wagner’s innovative and imaginative orchestrations are until and unless I’ve heard it. (You can read how that digital version was prepared either in the Times report or on the Festival’s website.) But neither would I preemptively rule out the possibility that it could sound fairly decent, if never as good as the real thing. These digital toys have gotten pretty darned sophisticated nowadays. As for the labor and economic arguments against the Mr. Goldstein’s concept, however, I don’t mind saying that I’m on his side, at least in this case. I know that may make me a target for some of the same anger that has been sent in the Festival’s direction, but please hear me out. Third, while I prefer the use of full orchestras over either reduced ensembles or electronics in music theater, the final verdict on this will not be delivered by me, by orchestral musicians, or by any number of disgruntled connoisseurs. It will be delivered by the whole audience, by way of attending or not attending. 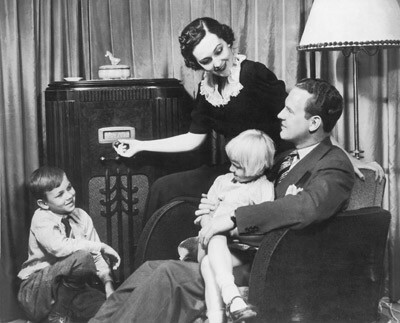 Like it or (mostly) not, musical tastes and standards change. And as in contentious matters of language, where common usage prevails to the chagrin of rule-makers and standard-setters, the growing acceptance of electronification of our music is something we may decry, but we can’t stop. Our preference for acoustic music, though noble, is also increasingly exceptional — and, in many cases, increasingly unaffordable. Listen, I can’t blame orchestral musicians for acting and speaking out in their economic self-interest. I’m sure I would do the same were I among them. But could I also ask them to take a step back and view things from a broader perspective? For instance, we just had the Metropolitan Operas’s General Manager, Peter Gelb, tell a BBC interviewer that, the way things are going, his company could go bankrupt in two years. The Met! THE MET!! To paraphrase the song, “if you can’t make it there, you’re not gonna make it anywhere.” Next to which, I hope you’ll agree, the issue of a company in Hartford “depriving” musicians of opportunities that never existed seems pretty small, doesn’t it?